Is your milk production not exactly what you imagined it would be? Are you worried you aren’t producing enough to spare you from relying on formula? While popping pills isn’t generally the best solution for your problems, in the case of breast milk production, it really can help. While lactation supplements won’t make your supply turn on like a water faucet, they can make enough of a difference that you may be able to ditch the idea of making up the difference with formula. Use the links above to check the latest prices or read our in-depth lactation supplement reviews below. How Do Lactation Supplements Work? You wouldn’t be a breastfeeding mom if you didn’t worry at some point about your milk production! What comes out can seem like such a small amount for the time and effort you put into it. Just looking at it, it’s hard to imagine it’s enough to sustain a human life. If you’re looking for a way to bulk up your supply, one solution is taking lactation supplements. They work because they contain herbs and vitamins known to increase milk supply. In the case of some of the herbs, like fenugreek, they’ve been used by women for centuries for this purpose. Although there hasn’t been a ton of research into how lactation supplements work, many of the ingredients enjoy such popularity because they’ve been used successfully for centuries. Most lactation supplements seem to bring up your prolactin levels. Prolactin is a hormone that’s necessary for breast milk production (source). But swallowing a pill isn’t the only thing you should be doing to boost your supply if it’s low. You should also be regularly pumping or breastfeeding since draining both of your breasts is one of the best ways to up your milk production. Also, you should make sure to get as much sleep as possible and drink plenty of water. 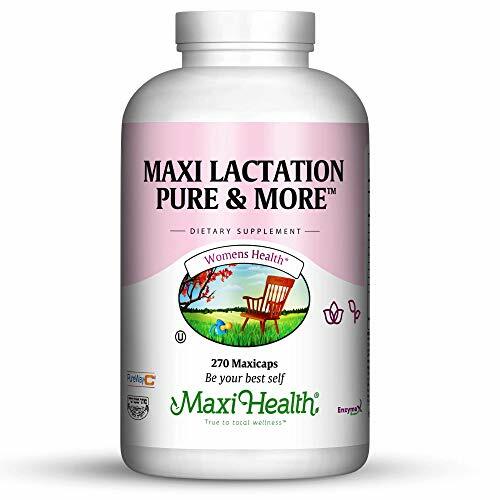 There are many different options when you’re looking for a lactation supplement, and while finding the right one isn’t exactly a silver bullet, it’s pretty close. Talk to your doctor: This is the first thing you need to do before adding any supplements. Show your doctor the supplement you’re considering taking so they can determine if it’s safe for you. They’ll be able to review the ingredient list and your medical history to see if there’s an ingredient you should avoid. People who are allergic to peanuts, for instance, shouldn’t take fenugreek. Examine the ingredients: If your doctor gives you the green light on any supplement you want to take, you may still want to examine the other properties of the ingredients you’re considering. 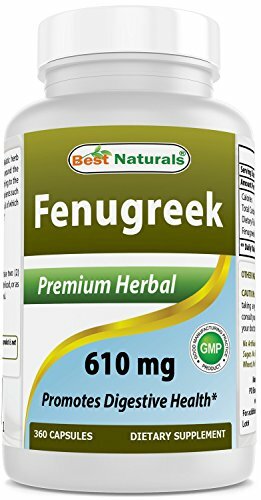 If you want something to increase supply, find a formula with fenugreek and fennel. If you’re struggling with anemia, consider nettle because of its high iron content (source). Think about price: While it’s nice to save money, you also want to make sure you’re getting a quality product. And sometimes, you’ll have to pay more for them. Decide how many supplements you want to take: Some women take multiple daily supplements to help with their supply. But it may be best to start with one and see how much that helps before you add an armload of pills to your daily regimen. You might find one is enough, or you might want to add one or two more if you’re still not producing enough milk. I know, I know. You already feel like a giant milk machine and taking supplements to up your output can feel a little weird. Parental guilt is everywhere, but nothing is quite like feeling you’re not producing enough food for your tiny baby. But relax — a little kick start from the right supplement can quickly get things flowing again. This supplement uses 100 percent organic herbs so you can feel good about what you’re doing for your baby’s health. 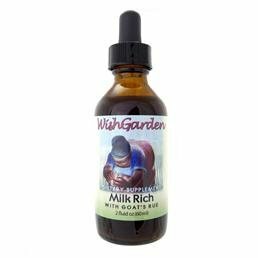 Packed with multiple herbs, this may be a good solution for moms with severely impacted breast milk production or for moms who have tried single herb supplements without any luck. 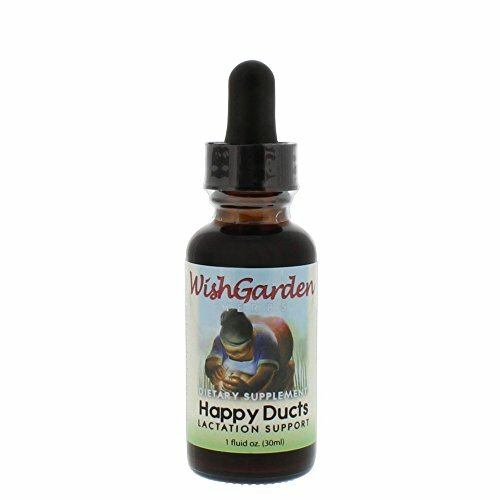 The herbs in this are fenugreek seed powder, blessed thistle powder, milk thistle extract, anise seed powder, fennel seed powder and goats rue powder. If your baby doesn’t seem to love the taste of your milk, consider trying this kind of supplement. The blend of herbs includes some that can sweeten the taste of your breast milk, which may appeal to some babies. If they start to savor the flavor, they may begin nursing more, which can indirectly boost your milk supply. Can make your breast milk sweeter. It can boost the nutritional quality of your milk. The herbs used are all organic. You’ll have to take two pills a day. This is a postnatal vitamin and lactation aid all in one. With fermented probiotics added to the blend, it’s helpful in fighting the upset stomachs women sometimes get when taking lactation supplements. You can even take this without food and your stomach should be just fine. It offers a 3-in-1 formula — in addition to the multivitamin, you’ll get multiple herbs, like lemon balm, chamomile, lavender, cardamom, and multiple minerals. Moms who only like to use high-quality ingredients should like that this brand is formulated with organic ingredients that are non-GMO. If you like to know a little more about the product you’re using, you might be happy to hear that this supplement was formulated by a mother who’s also a naturopathic doctor. They shouldn’t make you feel nauseous. You have to take three tablets a day, so it can get pricey. Some moms feel it tastes bad. This supplement uses two potent herbs — fenugreek seed and blessed thistle powder. That can be appealing to moms who don’t want to use too many active ingredients to jumpstart their milk supply. The capsules are vegetarian-friendly, which is always great for those who value cruelty-free options. You do have to take this two or three times a day. Since that’s two capsules at a time, you could be taking up to six capsules a day. You should also take it with food to help ensure that it doesn’t upset your stomach. Finally, this brand is manufactured in the U.S. Moms who like to watch their intake of potentially harmful substances will be glad that these don’t use artificial colors or flavors. Lactose-sensitive moms can take these. This formula doesn’t seem to have a lot of side effects. You have to take a lot of capsules every day, which isn’t great for moms who don’t like to swallow big pills. Because you have to take so many pills, it can get expensive. If you don’t understand how women can swallow so many pills each day, you might want to go with a drinkable supplement. This one contains fenugreek, anise, blessed thistle, beetroot, and carrot seed, plus it’s berry flavored to make the whole thing more enjoyable. Because you have to add water, you’ll get the extra hydration, which is always great for milk supply. If you want a fruitier taste, you can mix it with juice instead. It’s a good pick for vegans and people who can’t have gluten. And there aren’t any artificial ingredients in this formula at all. To start with you only need to take one packet per day, which may be a big relief to women who don’t want to remember to take supplements multiple times a day. But if you don’t see enough improvement with that one packet, you can take more after a while— although you shouldn’t use more than three per day. One packet a day may be enough for you. You won’t have to swallow any pills with this one. It might cause upset stomachs for both you and baby. Some moms couldn’t tolerate the taste by mixing it with water — they had to use juice. Moms who have trouble swallowing giant-sized tablets or capsules may appreciate that this supplement is just drops that you put on your tongue. You might not like the flavor, but if you have a problem with the taste, you can just mix it in with some juice or water. The drops are non-GMO and gluten-free, and there isn’t any sugar or stimulants in this formula either, which is nice for both you and baby. You need to be able to sleep when your baby does and not feel too wired to rest because of your lactation supplement! Only wild-harvest, organic ingredients, like raspberry leaf and fenugreek, are used in this blend. The company is committed to the sustainability of the resources it uses, so eco-friendly mamas should approve of this. The liquid is easy to swallow. Absorbed by your body quickly. There are no stimulates in this formula to keep you awake. Admittedly, this isn’t a great tasting formula. One small bottle is fairly pricey. Sometimes you have a lower milk supply because of clogged ducts. This condition can be painful, and it’s best to take care of it promptly because clogged ducts can severely impact your supply. The herbs used in this blend can help unplug those ducts and get the milk flowing again. Plus, the support from the herbs can boost your supply in the process. This doesn’t contain any caffeine so it won’t interfere with your sleep or your baby’s sleep, which is good for moms who are already feeling sleep deprived. This formula is comprised of organic ingredients that were harvested in the wild. Each bottle contains one ounce of liquid — it’s not a capsule or tablet. You can take the liquid drops straight up or mixed in with another drink. Can be used for taking care of ducts once they’re clogged, or for preventing them. While this isn’t expensive, you have to use two or three droppers full for a dose, so it goes fast. Some moms hate the taste of these drops. If swallowing capsules doesn’t bother you, this product might be right up your alley. Although you’ll have to down 9 total capsules a day, this supplement has a lot going for it. It’s a vegetarian formula and gluten free. If you’re health conscious you’ll appreciate that it doesn’t use artificial preservatives, coloring or flavors. You don’t have to skimp on effective herbs — this formula is crammed with the good stuff. It has alfalfa, anise, barley grass, fennel, fenugreek, marshmallow root, nettle leaf, red raspberry and spirulina. Moms who haven’t had any luck with other supplements may want to head straight for these because of the diverse kinds of herbs. 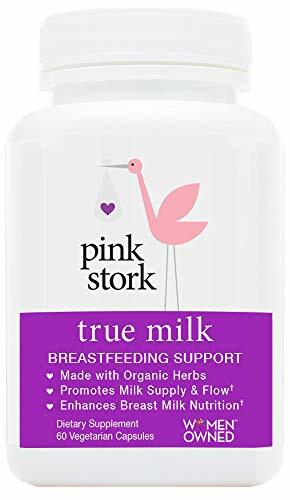 Plus, moms who want to avoid the bad aftertaste of some of the other lactation supplements on the market should like that these are tasteless. There are plenty of effective herbs in this in case you haven’t had any luck with single-herb supplements. There is no bad aftertaste with this supplement. You need to take them in divided doses, which means you have to remember to take them multiple times a day. Nine capsules to take every day may seem like too much work. 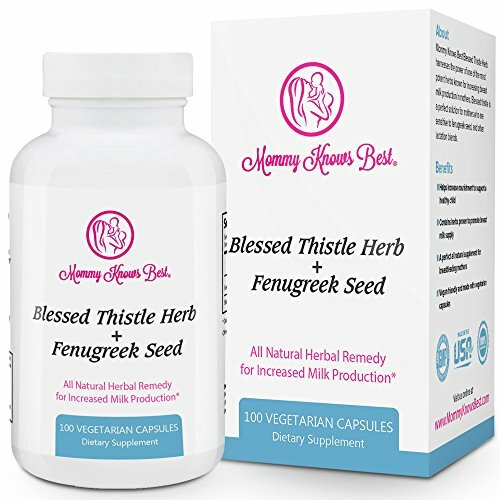 Moms who want to give a single-herb supplement a whirl may like this one that only uses fenugreek seed. While this boasts enough to help boost milk production, it doesn’t contain any undesirable ingredients or possible allergens that some other supplements do. It doesn’t have yeast, sodium, wheat, gluten, lactose, egg, corn, starch, or sugar. Plus, it doesn’t have the artificial additives you might rather avoid, like coloring, sweeteners, preservatives, and flavors. Also, fenugreek will give moms an added boost of extra vitamins B and C, as well as beta-carotene. Best Naturals is made in the U.S., which might please moms who want to support their country’s economy. And if you relish the idea of helping others when you buy your supplement, you might like to know that this company donates for every bottle sold to help needy children get access to vitamins. People who can’t have lactose, gluten or artificial sweeteners can take this without problems. Some moms report that this supplement works quickly. You’ll have to take four to six capsules a day, spread throughout the day. Some women struggled with upset stomachs while taking this. There are only two ingredients in this lactation supplement — organic fenugreek seed and a vegetarian capsule. Moms who are worried about additives might like the simplicity and straightforwardness of this option. If you’re on a tight budget and not keen to spend a lot of money on lactation supplements, this might appeal to you. It won’t break the bank to try a one-month supply to see if it works for you. And for new moms who want to take as few herbs as possible to see what works for them, this is an excellent choice. Fenugreek is one of the main lactation herbs that get results for moms, although it doesn’t work for everyone. Because it does have such a good reputation, however, it’s a good place to start when you’re first exploring your lactation issues. Some moms may like that there are only two simple ingredients. You’ll have to take three capsules a day. Some moms complained about gas pains when taking this product. 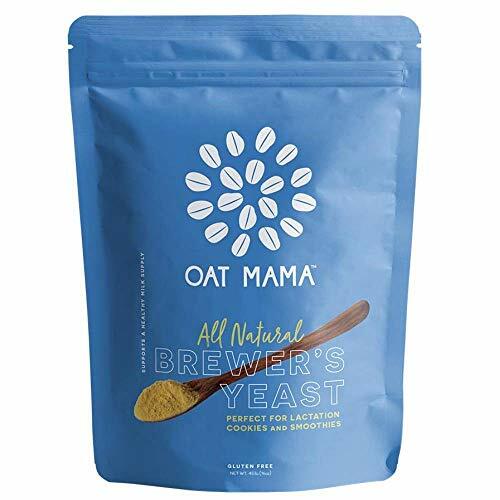 Breastfeeding moms who love to bake and make their own snacks may want to check out Oat Mama’s brewer’s yeast. Brewer’s yeast is full of good things your body can use to help increase your milk production, including iron, B vitamins, protein, chromium, and selenium. You can use brewer’s yeast for making lactation cookies, smoothies, granola, or oatmeal. It’s been debittered, which helps give it a milder flavor. Plus the package comes with a lactation chocolate chip cookie recipe on the back. If you can’t tolerate gluten, you should be pleased to hear it doesn’t contain it. The Oat Mama brand was created by two moms, Eliza and Kristy, who were breastfeeding and were tired of the paltry choices they saw available for lactation products. They wanted to create products that helped, but also tasted good. The recipe on the package is tasty. Not as bitter as some other brewer’s yeasts. This product is geared toward people who make their own snacks – not ones who want prepackaged ones. A bag is rather expensive and may not be budget-friendly for all moms. 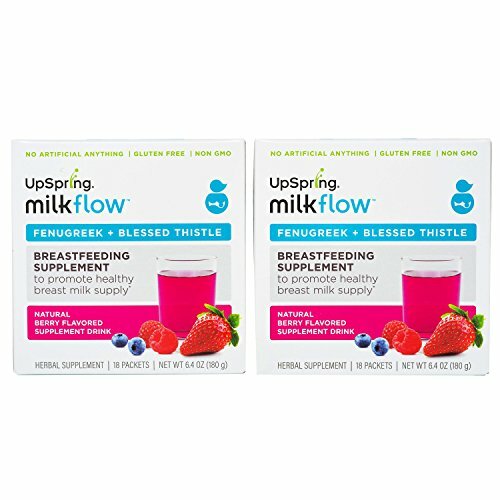 If you’re a new mom hoping to boost your breastmilk supply, you may have heard to try lactation powders that will enhance what your milkmakers are putting out. Problem is, you may have also heard that some of them are chalky tasty and expensive to purchase. 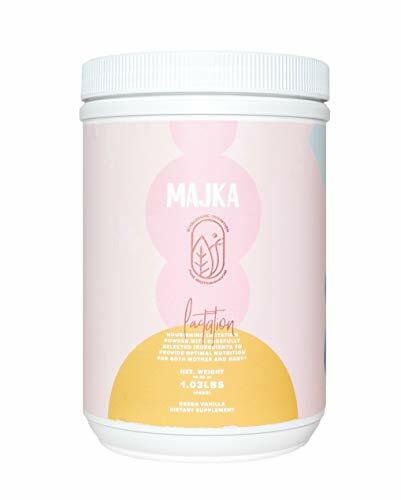 To make sure know what you’re getting into when you fork over your hard-earned dollars for lactation powder, we’re going to review one kind – Majka lactation powder. Majka is a company created by moms, and they used professional nutritionists while making this formula. The powder contains minerals, protein, fiber, vitamins, and foods that are known to increase women’s milk supply such as fenugreek. One thing that makes this product different is that it contains six protein sources, instead of the three some other companies use. All the protein sources used are organic too. To use this product, you can put a scoop in a smoothie or drink. You can mix it with water and drink it that way, but although I like the flavor of the powder, it might not agree with everyone. Unlike many other lactation powders, there is no chalkiness. The list of ingredients is impressive – there’s a lot of good stuff in here whether you’re breastfeeding or not. The protein helps you feel full. The biggest con is the cost. This is not going to be budget-friendly for a lot of moms, but if it helps you avoid buying more formula, the price isn’t as bad as it first appears to be. Many new moms think they have a problem with milk production, but they actually don’t. I remember with my new baby, I watched during one of my first pumping sessions as my breast milk came out drop by drop. I was crushed. I expected a steady stream and instead I got something that dripped slower than the leak in my bathroom sink. It didn’t seem right after all the work I was putting in, so I was convinced something was wrong with me. I measured the ounces I got from the pumping session after I was finished draining both breasts. Then I looked up how much a normal woman can expect to produce at one time. And you know what? I was normal. My one measly ounce of milk per breast was normal, especially at the beginning of motherhood. I wasn’t behind the curve like I thought I was! Before you consider branding yourself a low producer, which can make you feel like a failure, measure how much you’re actually producing first. After that, if you still think you should be doing better, you can consider lactation supplements and other means of increasing your supply. You can start taking lactation supplements after you deliver your baby — don’t begin before you have the baby. Some evidence suggests some supplements, like fenugreek, could potentially induce labor (source). You definitely don’t want to trigger labor before your baby is ready. It’s always a good idea to mention any new supplements you’re taking to your doctor. Keep in mind, your supplement won’t immediately work and it won’t turn your supply into a waterfall. It may modestly boost it, but it could take anywhere from one day up to two weeks for you to notice the difference (source). 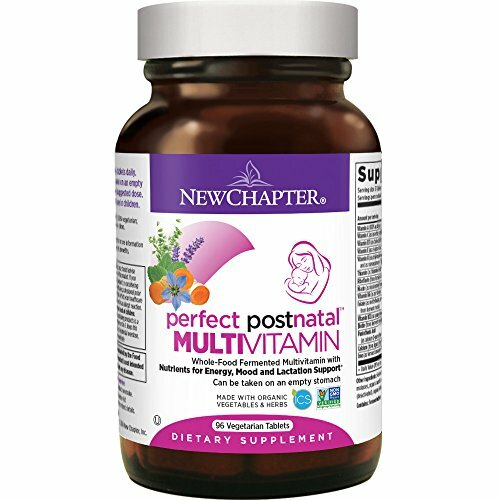 One of my favorite lactation supplements is New Chapter vitamin and lactation supplement. Although it doesn’t have a huge dose of probiotics, it does have some, which is good for your gut health and immune system. This brand is gentle on the stomachs of both mothers and babies, which is great. We have enough on our plates as new moms without worrying about side effects from supplements too. Good luck with boosting your milk supply and remember just to do your best. The most important thing your baby needs from you is your love. What worked to increase your supply? Help a fellow mom by sharing your secrets in the comments below. I’ve made lactation cookies for myself many times in the past as I’ve been breastfeeding with low supply. Healthy nursing tea worked pretty good. This is super helpful because buying all the herbs individually is complicated and expensive. Hi. Just wondering why moringa is not mentioned here. It’s one of the most effective.